I've got some questions for you. Heat can be bad for your hair, right? Heat can damage your hair, right? If you answered yes to those questions, you'll be surprised by what I'm about to say. Yes, heat is bad for your hair and can damage it, but only if you don't use the hair care products from Thermafuse. Thermafuse claims to make your hair healthier by using heat. All of the products contain a special formula, called the HeatSmart Complex, that's made from natural ingredients. This formula penetrates the hair shaft and is activated by heat. Received my first set as a gift from the company owners and bought a second set online for $30, not including S&H. How to use: “Apply to wet hair, lather. Rinse. Repeat if necessary. Follow-up with smooth balance Condition." Key ingredients: "Cuticle Fusion Complex – A combination of certified organic extracts chosen for their ability to thrive in heat, and revolutionary polymers. Blue Lotus Flower (Extract) – Provides anti-oxidant properties and replenishes moisture in hair. Blue Agave Nectar (Extract) – The nectar helps to retain moisture while adding softness. Cactus Flower (Extract) – Has heat and dehydration resistant properties. Olive Oil Fruit – Naturally rich in fatty acids it moisturizes, conditions to ensure softness, silkiness, and shine. Also provides excellent heat protection." 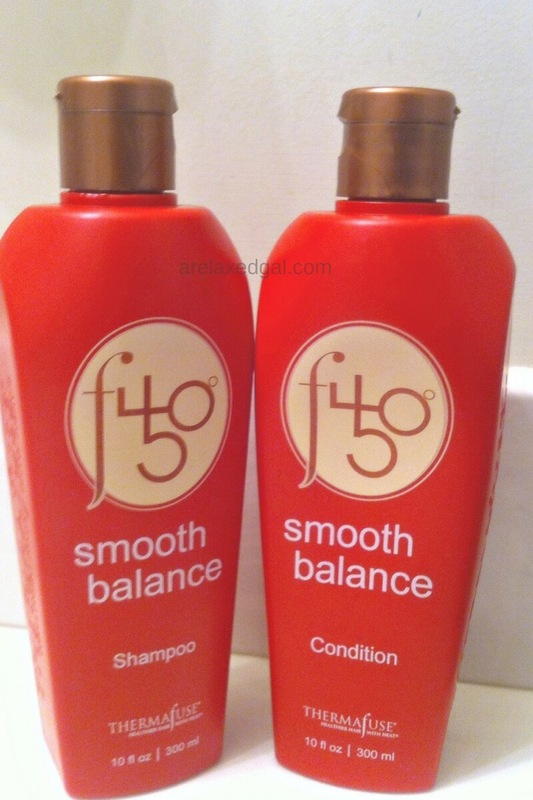 Since I’ve only used the shampoo and conditioner together on wash days I decided to review them together. Since they're clarifying products I typically use them the shampoo before my relaxer and a week after my relaxer. After using them my hair feels strong, soft and moisturized. Even when I air dry my relaxed hair is smoother than after other washes. And my relaxed hair isn’t always a fan of air-drying. The only downside is the price and it is only sold in salons. You can’t buy directly from the manufacturer. I admit I found these on eBay for a great price, but even there they were more than I want to pay for a shampoo or conditioner. Since my purchase options are limited to 1) buy online which can be expensive and you can’t be sure you are getting good, authentic product and 2) through a salon and there aren’t any salons within 15 minutes or less of where I live that sell Thermafuse I probably won’t be using these again once I’ve used up what I have. Since this review, I have not purchased or used this product again. It was too costly and not easily accessible, but I'm glad I had a chance to try it out. Have you tried Thermafuse f450° Smooth Balance Shampoo or Condition?